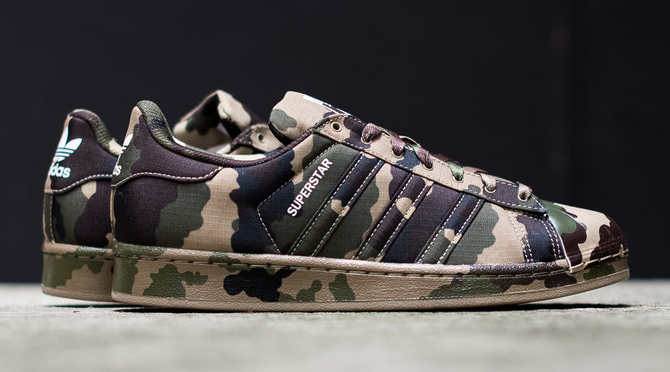 The adidas Superstar has plenty left in the tank for 2015, seeing as how adidas Originals is planning to get the same mileage out of it this year as it did with the Stan Smith last year. 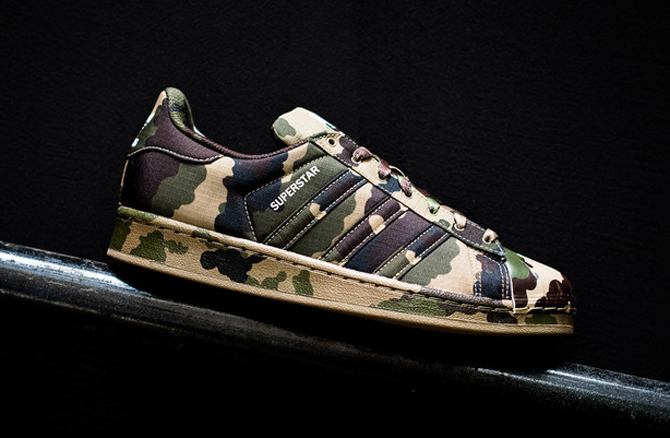 And, like the Stan Smith before it, the sneaker is going full on camouflage. 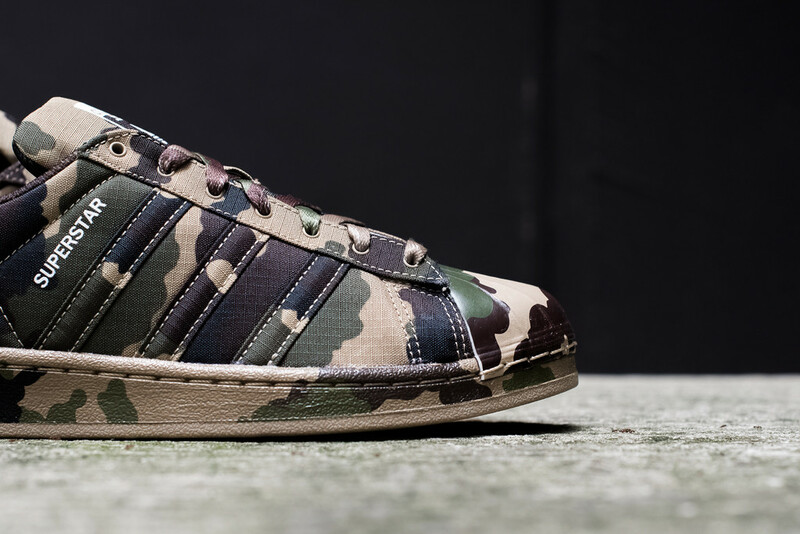 Full on as in the whole upper, the tongue, and even the midsole feature the splotchy look. 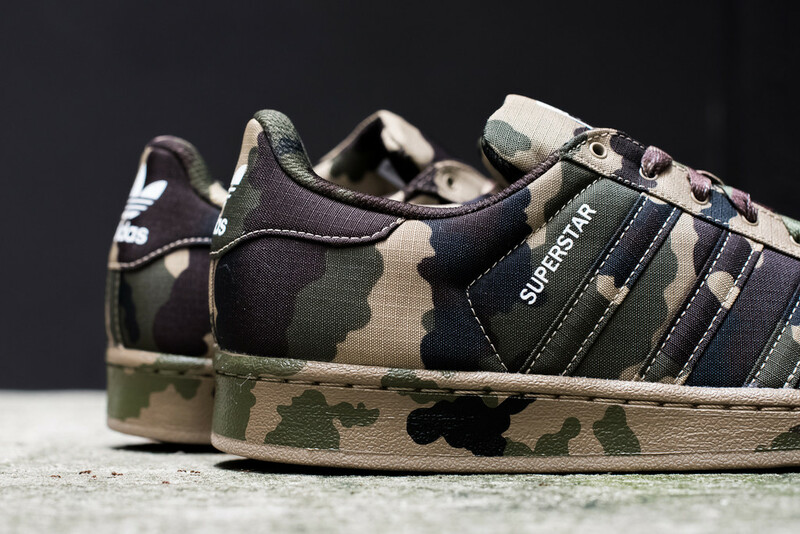 This isn't one of the many collaborations on deck for the Superstar, so it should be relatively easy to acquire. 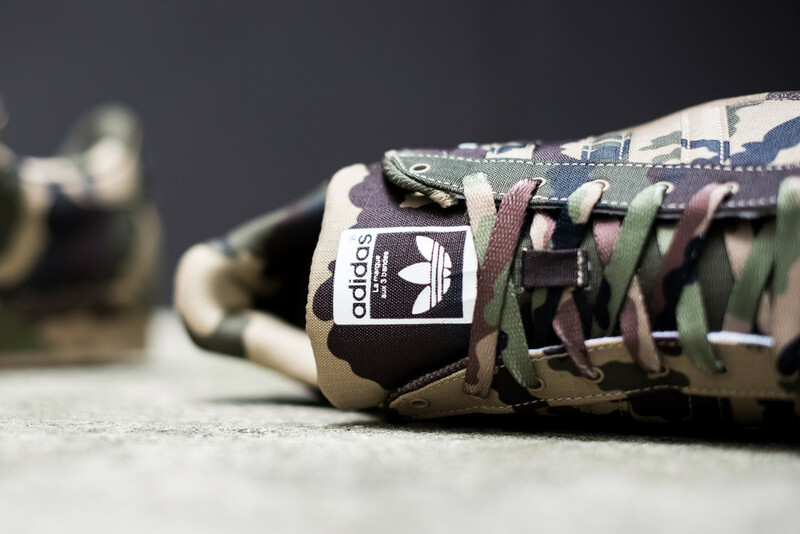 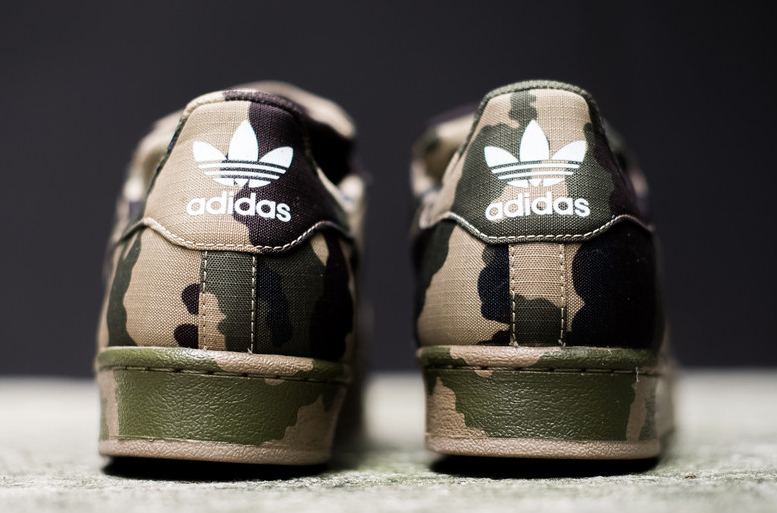 These adidas Originals Superstars in camouflage have come and gone at Sneaker Politics, but other stockists should have them now.